I've never been a big fan of listings with only one photo the car in question, particularly if that image is a picture of an old print photo and the seller describes the car as "looks better now". If you can take and digitize a picture of the old photo...why not just take a picture of the car...? However...when the price is right, we can forgive some bad pictures. 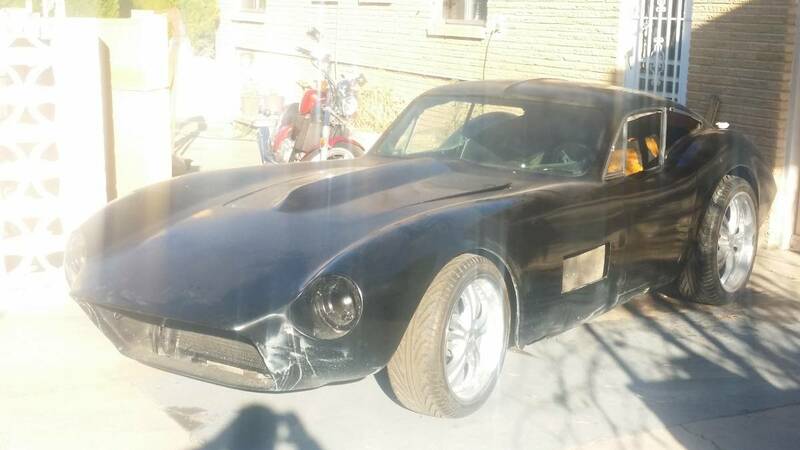 Find this 1964 Kellison J-6 Panther offered for $16,000 in Albuquerque, NM via craigslist. Tip from FuelTruck. The Kellison J-6 panther is the funky successor to the oddball Kellison J-5 successor to the equally strange Kellison J-4. All cars were the brainchild of Jim Kellison, a hot rodder and entrepreneur who used fiberglass and off-the-shelf parts to build custom cars. According to kellisoncars website, more than 500+ of the J-6s were ever built. In good condition, these things will fetch something like $30k at one of the big name auction places around the web...but I prefer versions that might need to be towed home instead of over-restored and over-priced concours versions. Don't we all? these are so cool, I wish I knew what chassis this was on. Corvette was fairly usual. P.S I am having a friend in 'burque check it out this weekend for me. Keep us posted on what they find, this is a really interesting car and probably the best looking kit car I've ever seen. I don't have the funds for it but it would be great to hear if it was picked up by a DTer! My friend and his brother have tried and tried to see this car with no luck. One of those sellers. I really wish we could get it.